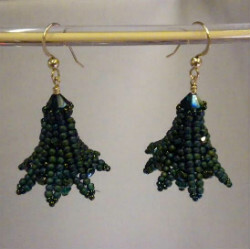 Learn to net on both sides of a beaded spine to make incredible lace earrings. Instruction on color grading will be provided. Embellish the tips of the lace to really create some flare. 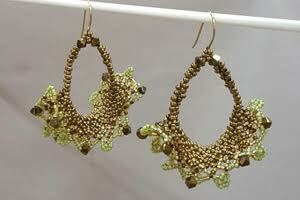 We will be using size 11° and 15° seed beads. If magnification is required, students must bring their own equipment. 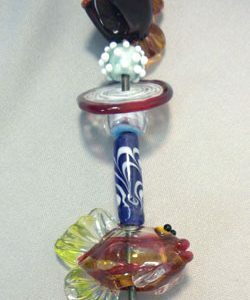 Take your soft glass skills to the next step. This workshop will focus on making hollow beads. If there is time, we may try to make a bead inside a bead. 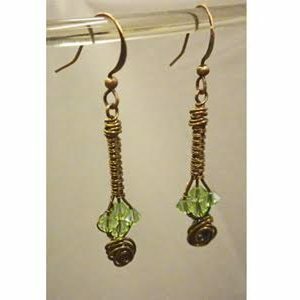 Learn to use jewelry making tools and wire wrapping techniques to make earrings that dangle and sparkle. Use Swarovski crystals in birth stone colors to make lovely holiday gifts. After class, take these techniques and explore your own designs.